Guthrie Public Schools recognized their January Support and Certified Employees of the Month. 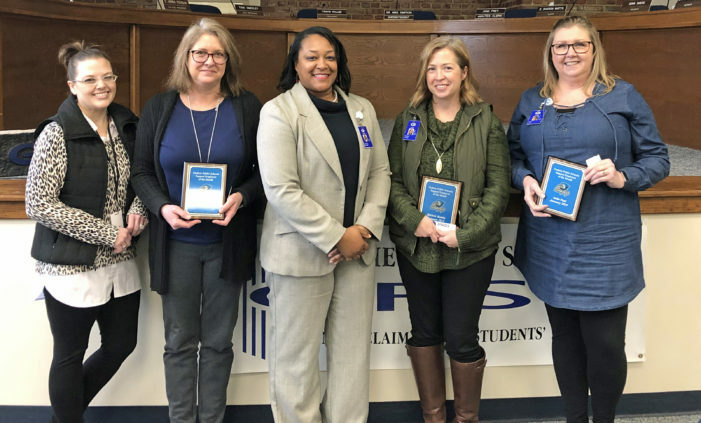 The Support Employee of the Month was the GPS Finance Department of Michele Hamby, Anita Paul, Jana Wanzer and Sandra Savory. All four were nominated by Michelle Chapple. 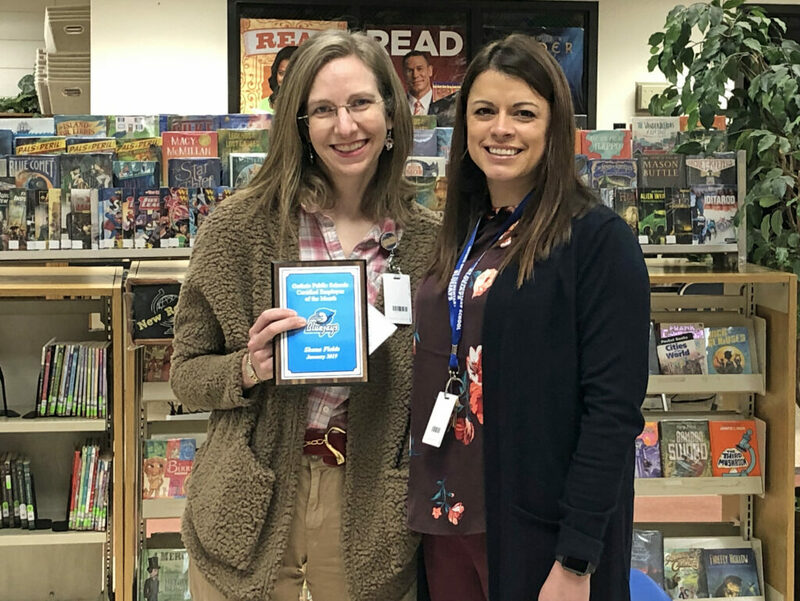 The Certified Employee of the Month was Shana Fields and was nominated by Emily Carpenter. Shana Field (left) was nominated by Emily Carpenter.